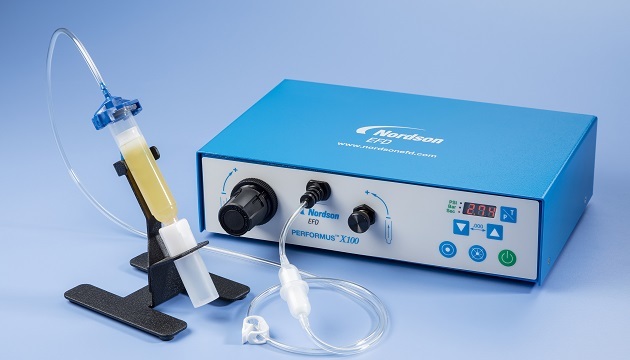 Nordson EFD introduced Performus X Series fluid dispensers that deliver reliable benchtop dispensing control for general applications in the electronics, life science, consumer goods, and automotive industries. The new air- powered (or pneumatic) fluid dispensers reduce production costs and improve yields through controlled application of assembly fluids dispensed using syringe barrels and reduced operator-to-operator variability. For more information, visit nordsonefd.com.